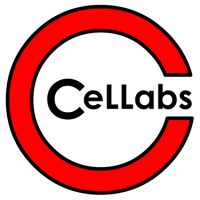 Giardia-Cel FITC Stain, produced by Cellabs, is an in vitro immunofluorescent test for the detection of Giardia cysts in faecal and environmental samples. The fluorescein-labelled monoclonal antibody reagent binds specifically to Giardia cysts in the sample providing a rapid, accurate detection. 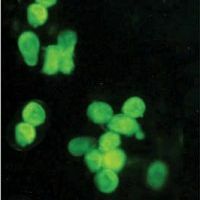 Giardia cysts display bright green fluorescence.